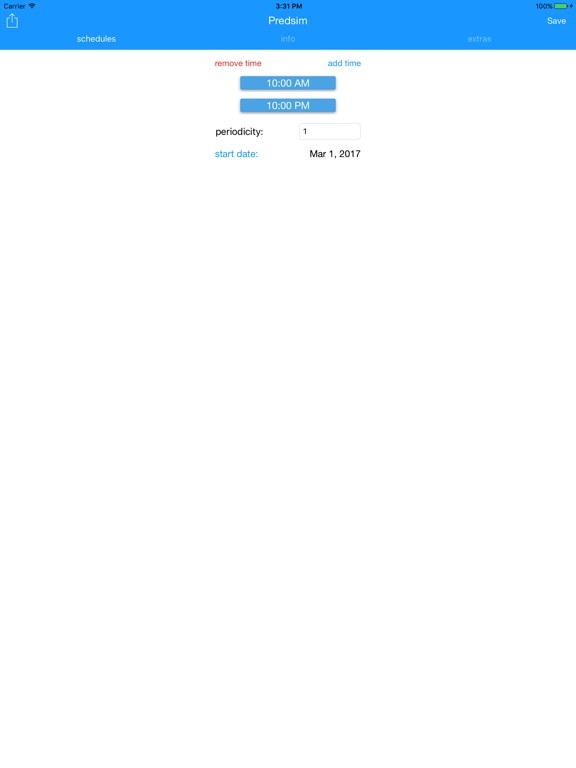 Please, report the problems at support URL! 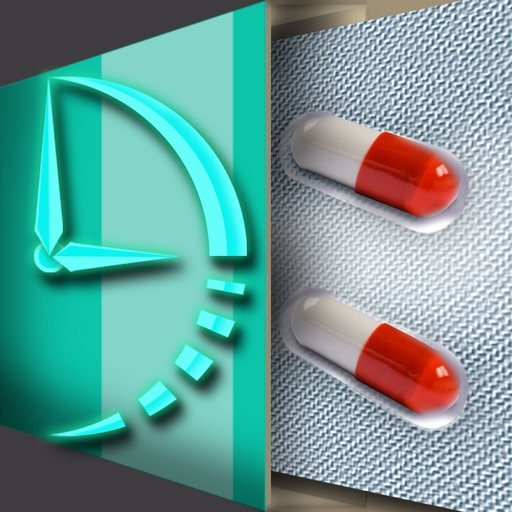 You will never have any more problems in managing your meds again, because MED TIME is here. 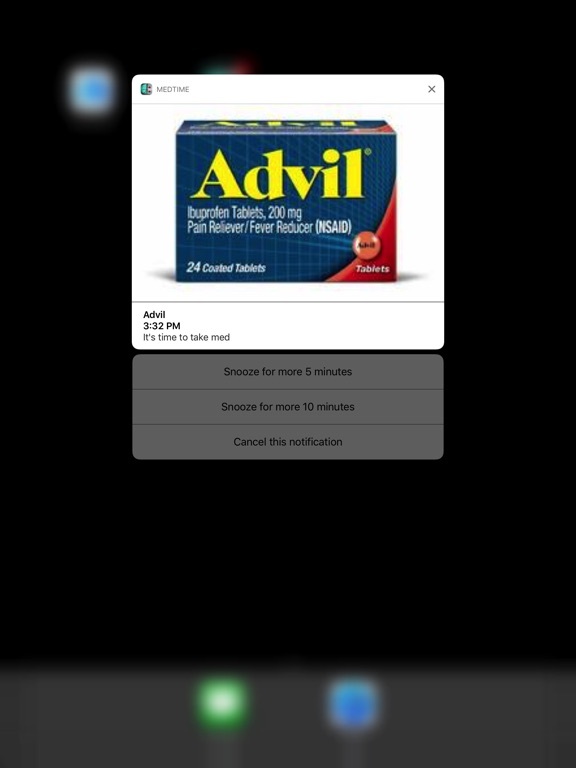 It will emit an alarm when you need to take a medicine and does much more. 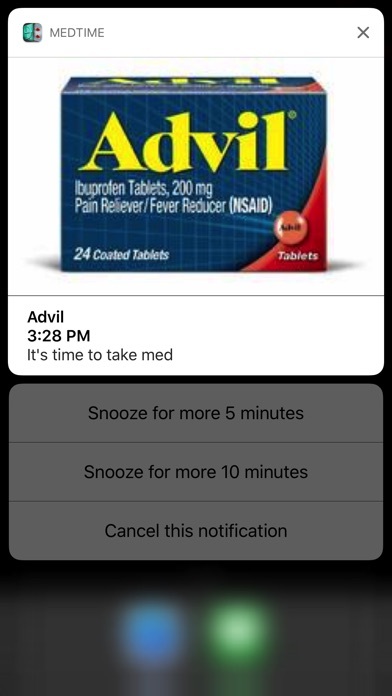 After typing the name of the medicine, you will have the option of inserting the time individually or automatically, selecting the hour interval and the initial hour. 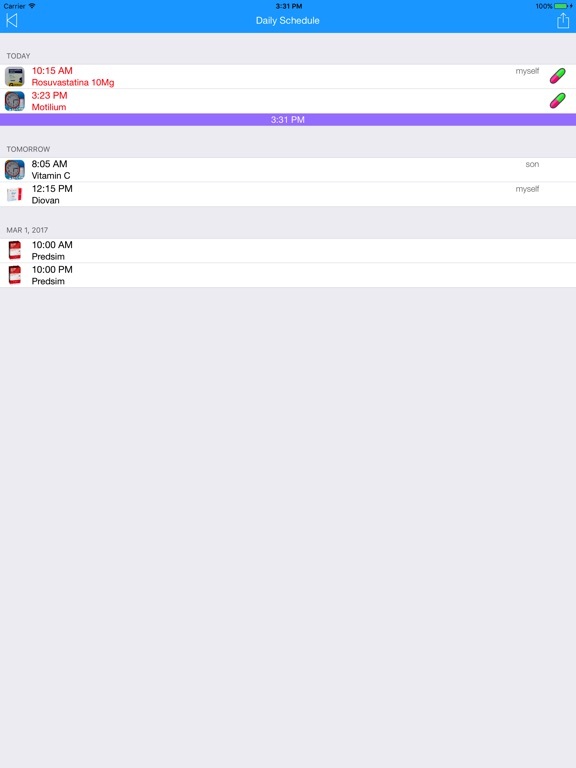 MED TIME will generate a schedule. 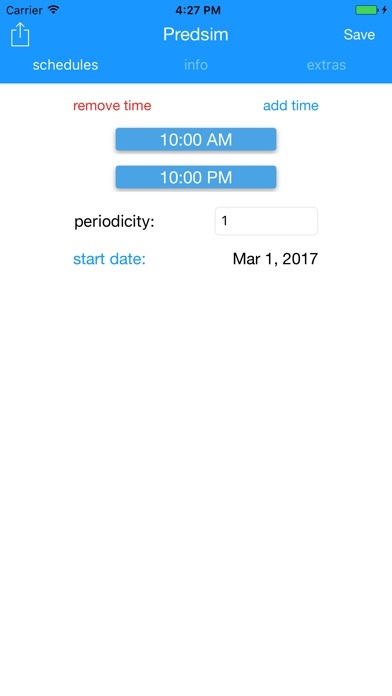 Inserting the number of days, it will make the app reminds you, always, how many days are left to the end of the treatment and how many already were taken. 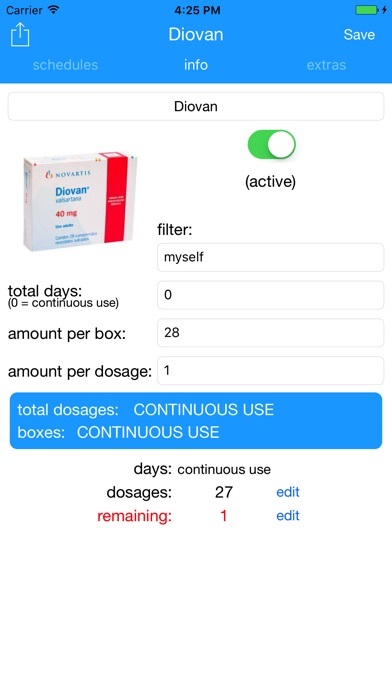 Typing the number of dosages in each box, it can calculate how many full boxes and individual dosages will be needed. 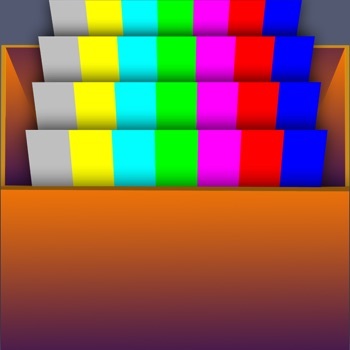 When the box is almost finished, you will be alerted that another one is necessary. 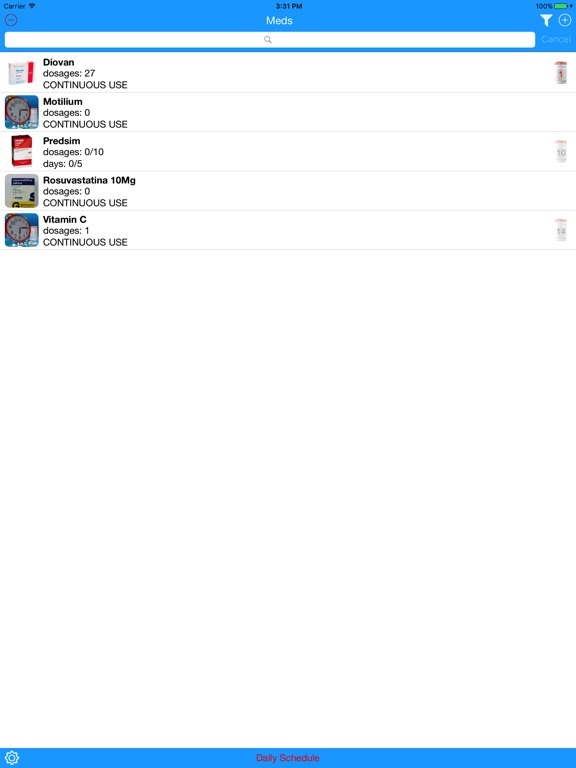 in editing info, you can choose another picture to appear with the medicine selecting camera or photo album. 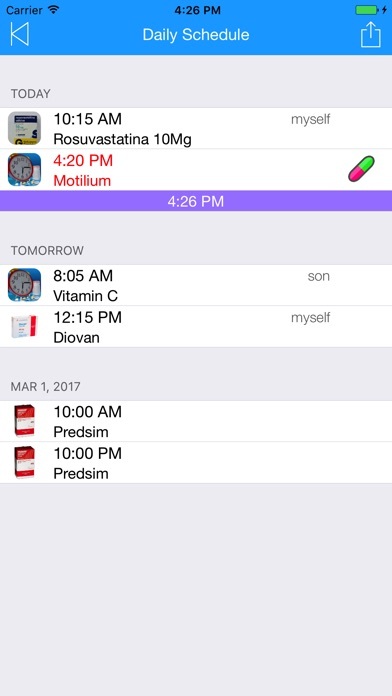 There will be a list with all the medicines that are being taken and in the required time, the app will alert that one dosage must be taken. 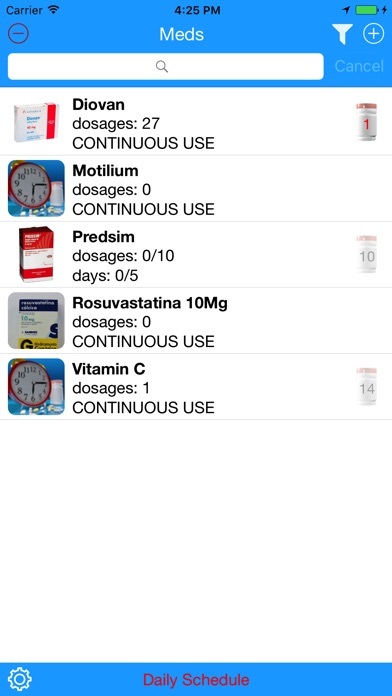 After taking the dosage, the app will warn how many more dosages and days will be necessary. 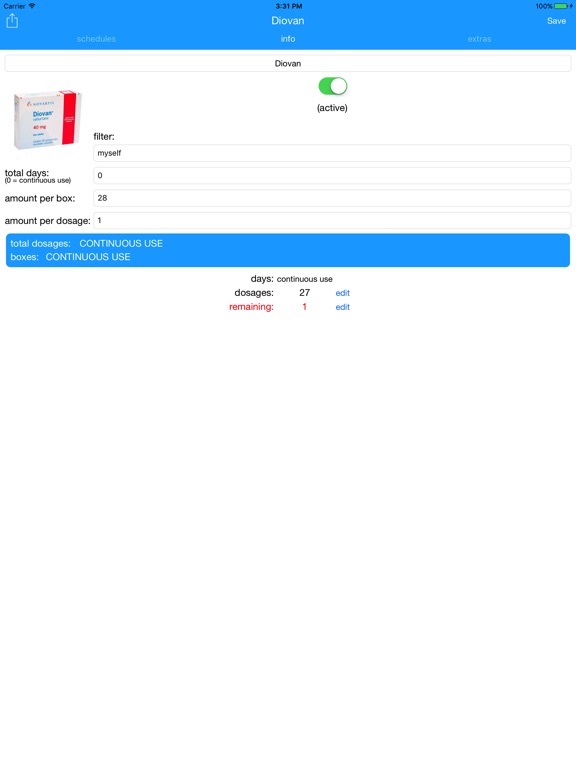 When the last dosage of a certain medicine is taken, the status of the treatment will be changed to completed, having an option of resetting it, if necessary.